All arrival and departure transfers and all surface arrangements in Aircon Vehicle as per program. Accommodation on twin share on bed & breakfast basis for 06 nights/07 days as per program. 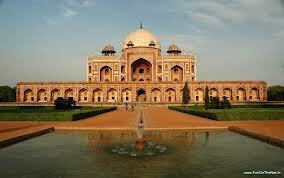 The Golden Triangle Tour begins with the tourists arriving in the capital city of India, Delhi. TSI Holidays would be waiting at the airport to receive and welcome you to the country of India. We would also help you in transferring to the hotel. You could check into the hotel and relax for the day. 2nd day of the Golden Triangle Tour would involve a lot of sightseeing in Delhi and you would also be reaching the city of Jaipur on the same day.In the morning you will be visiting the important tourist places in Delhi. You will visit some of the historical monuments located in the city. The Red Fort, the Jama Masjid, the Parliament House, India Gate, President’s Mansion, Humayun’s Tomb and the Bahai Temple would all be covered on the same day. By the time you finish your sightseeing trip in Delhi, you would be thoroughly charmed by it. During the afternoon of 2nd day you would be making your trip to the wonderful city of Jaipur. On arrival in Jaipur you would be checking into a nice hotel. You could spend a few relaxing moments in the hotel. In the evening you could visit the local markets and other interesting places of the city of Jaipur. 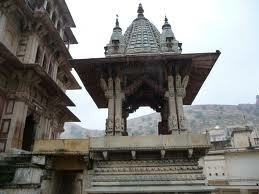 The 3rd day of the Golden Triangle Tour would comprise of sightseeing activities in Jaipur. The elephant ride which you can avail of in the city would help you to reach the Amer Fort. Inside the Amer Fort you would be seeing the Jai Mandir, Sheesh Mahal, Ganesh Pole, Sukh Niwas, Jagat Shiromani Temple and the Narsingh Temple. Other than the Amer Fort you would also be visiting the majestic Hawa Mahal, City Palace and the Jantar Mantar. The Jantar Mantar is one of the most popular astronomical observatories of India located in the city of Jaipur. You would be exploring the markets in Jaipur during the evening. The Jauhari Bazaar and the Badi Chaupar are the two famous markets where you would be going to. Some of the items which you would find in those bazaars include Jaipuri quilts, silver jewelry, bangles, tie, camel bone items, handicrafts, textile items, etc. During the morning of 4th day of the Golden Triangle Tour you would be continuing your sightseeing activities in Jaipur. The Nahargarh Fort and the Jaigarh Fort are the places you would be taken to. The Nahargarh Fort was constructed by the Maharaja Jai Sawai Singh in the year 1734. The views offered by the Nahargarh fort of the city are breath taking. The Jaigarh Fort was built sometime between the 15th and 18th century. The fort is the proud owner of the world’s largest canon.The afternoon would see you traveling to the historic city of Agra. TSI Holidays would help you to check into the hotel. You could spend a relaxing time at the hotel. During the evening you could embark on a quick tour of the markets and other interesting places around your hotel. 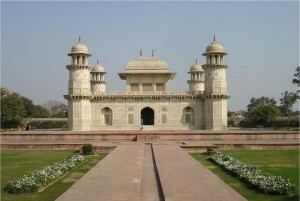 Today you would be visiting the tourist places in the city of Agra. The Taj Mahal, one of the Seven Wonders of the World, is located in the city of Agra. 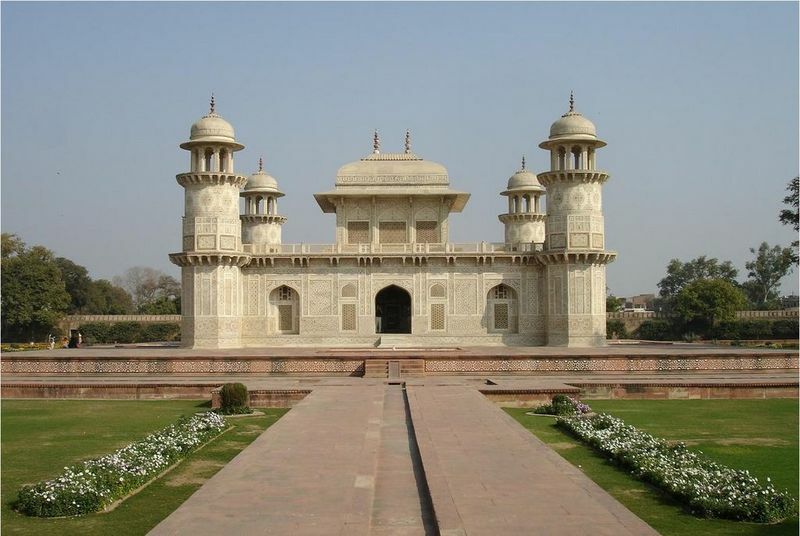 The other places which you would be visiting on the same day include Agra fort, Tomb of Itimad-ud-Daulah and Akbar’s Tomb at Sikandra. On the 6th day of the Golden Triangle Tour you will visit Fatehpur Sikri. The Fatehpur Sikri was built by the Mughal Emperor Akbar during the 16th century. The Fatehpur Sikri is also the place where one of the largest mosques of the country, Jama Masjid, is located. Numerous historical monuments of the Fatehpur Sikri are bound to amaze you. Astrologer’s Seat, Panch Mahal, Girl’s School, Turkish Sultana, Anup Talao, Khwabgah and the Diwan I Am.During the afternoon you would return to the place from where you started your Golden Triangle Tour, Delhi. After checking into a hotel in Delhi, you could rest for sometime. Today is the last day of the Golden Triangle Tour. You would be transported back to the airport from the hotel. When you return to your homeland, you would be carrying some of the most delightful memories, of the cities of Delhi, Agra and Jaipur, with you. The Golden Triangle Tour offered by TSI Holidays would ensure that you come back to India for an encore. Any entrance fee and guide charges. If you have not decided yet or wants to customize tour itinerary or hotels listed above in "Golden Triangle Tour for 06 Nights/07 Days at $ 276 from TSI Holidays", then we can change the travel itinerary and make a personalized, tailor-made holiday package, especially for you. We can modify this travel package as per your itinerary, budget, duration and the tourist places you would like to visit, including transportation and airfare should be included or not. Please fill the form below to contact us.